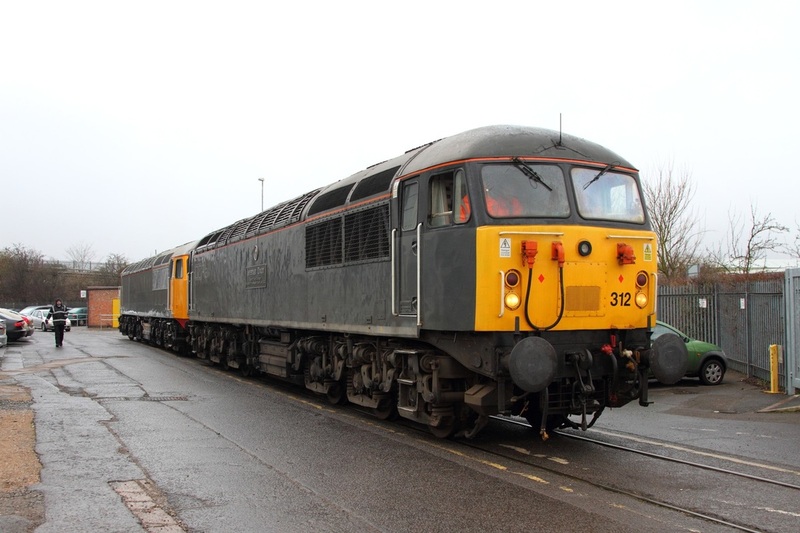 Inter City 73205 works the 0Z73 Tonbridge west yard to Brush works, Loughborough arrives at Brush Loughborough on the 27th March 2014. (Photo taken with permission). 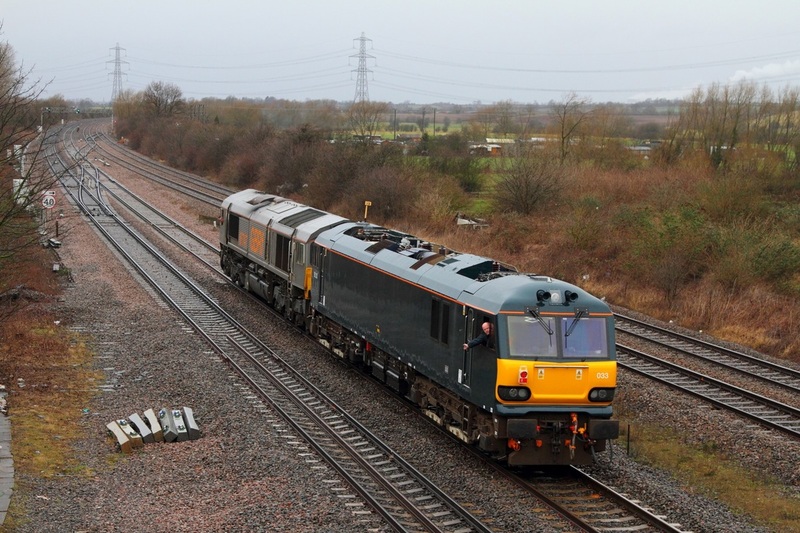 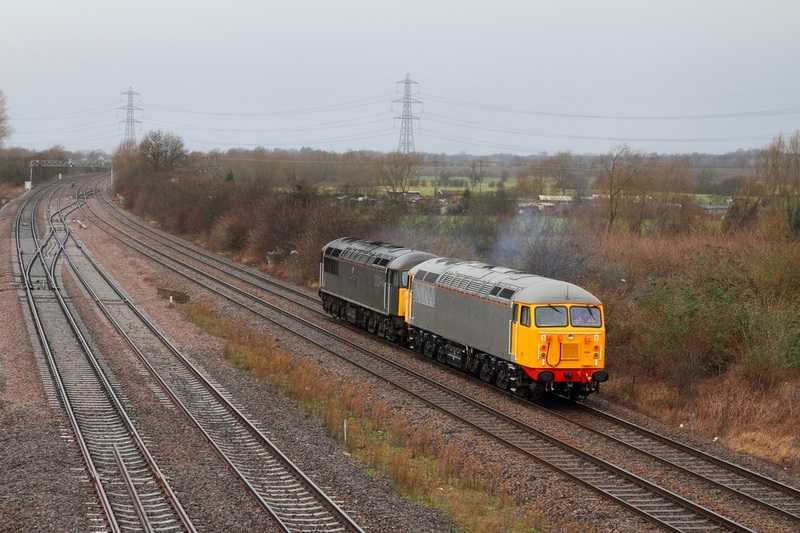 66747 hauls 92033 as the 0M92 Crewe to Brush Loughborough at Loughborough on the 1st March 2015. 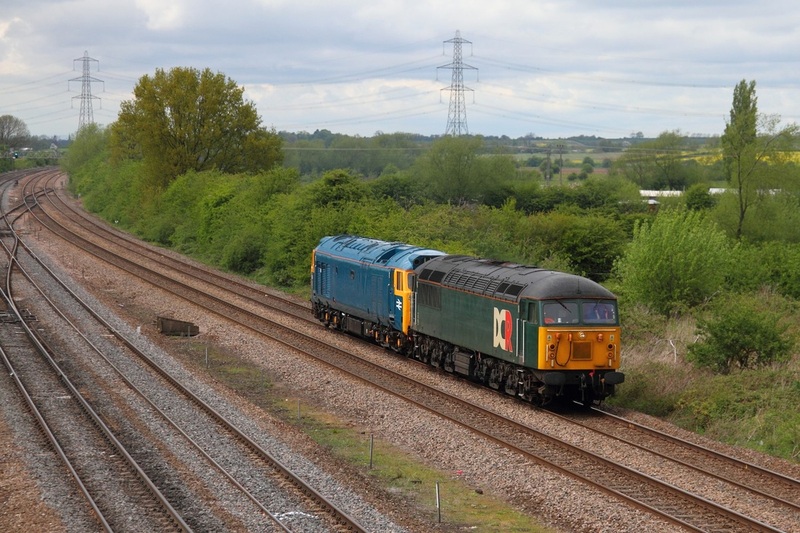 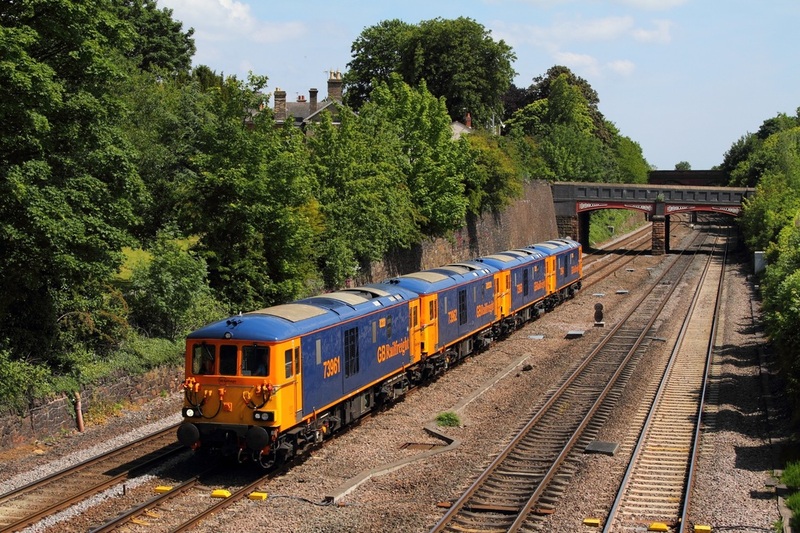 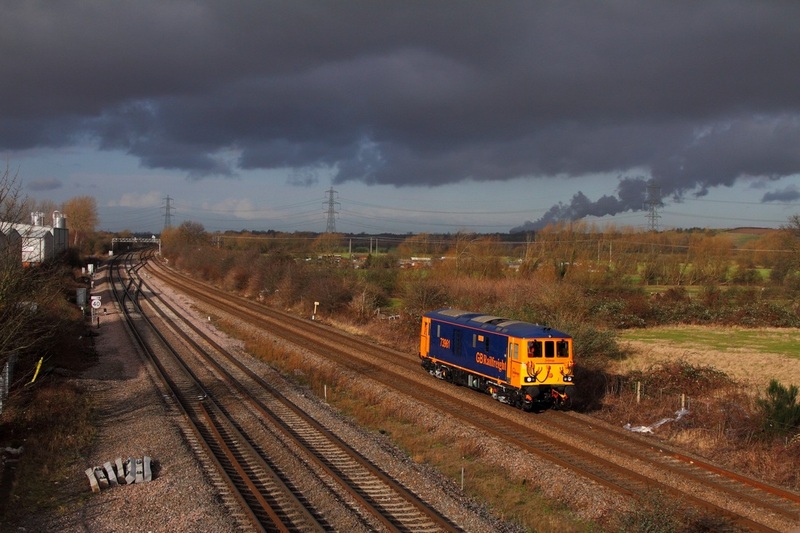 On the 19th February 2015, GBRf 66736 leads 92010 and 87002 at Loughborough working as the 0Z23 Doncaster to Loughborough Wabtec Brush works. 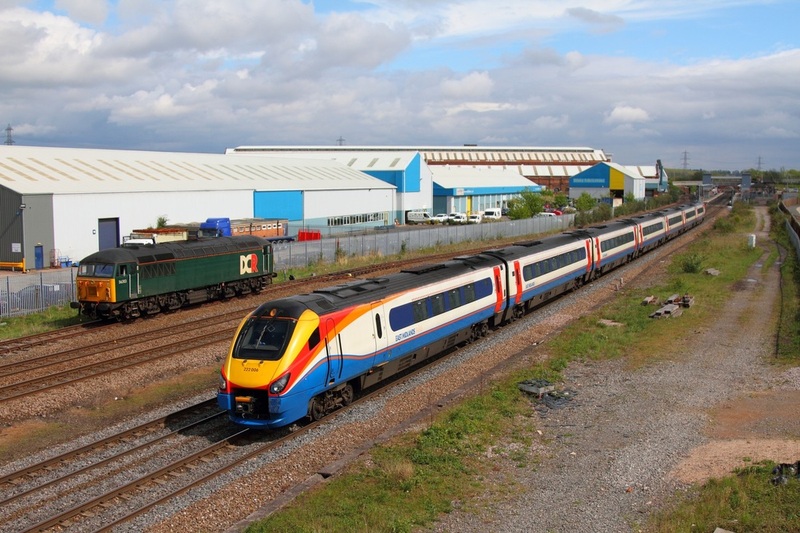 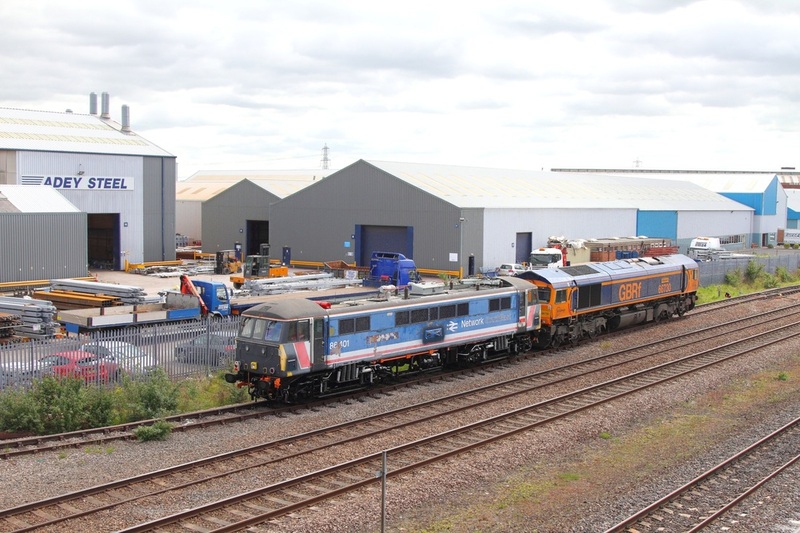 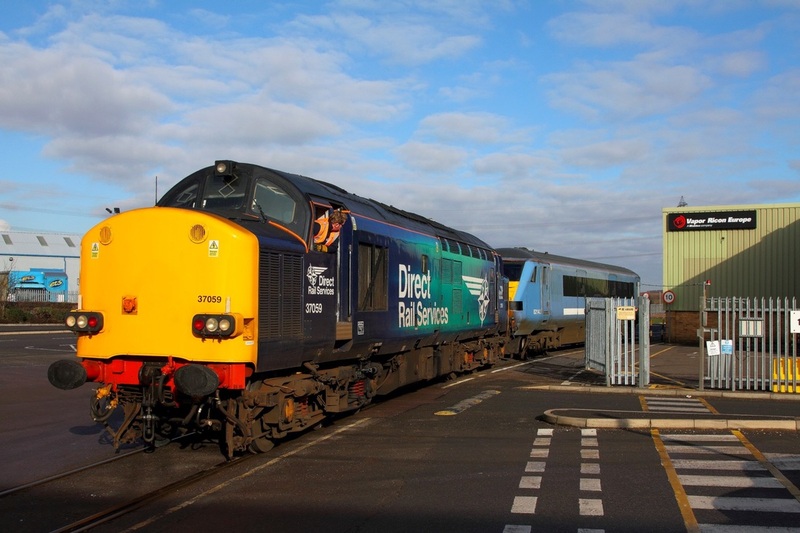 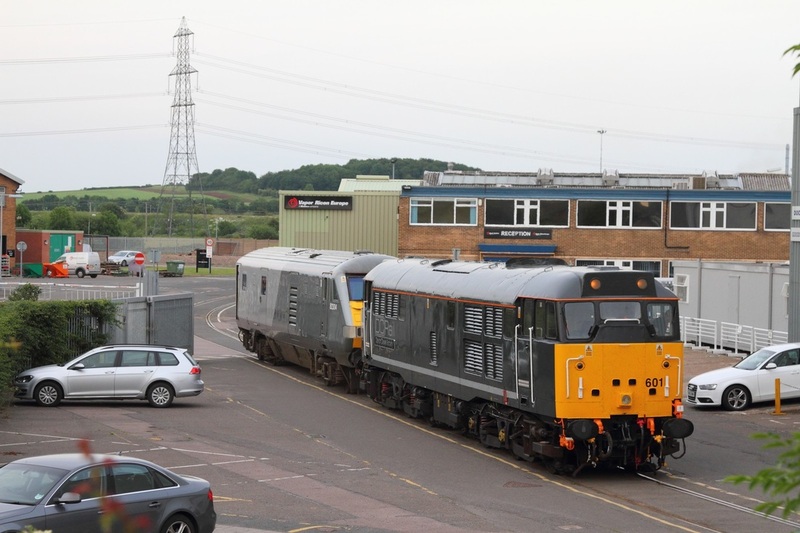 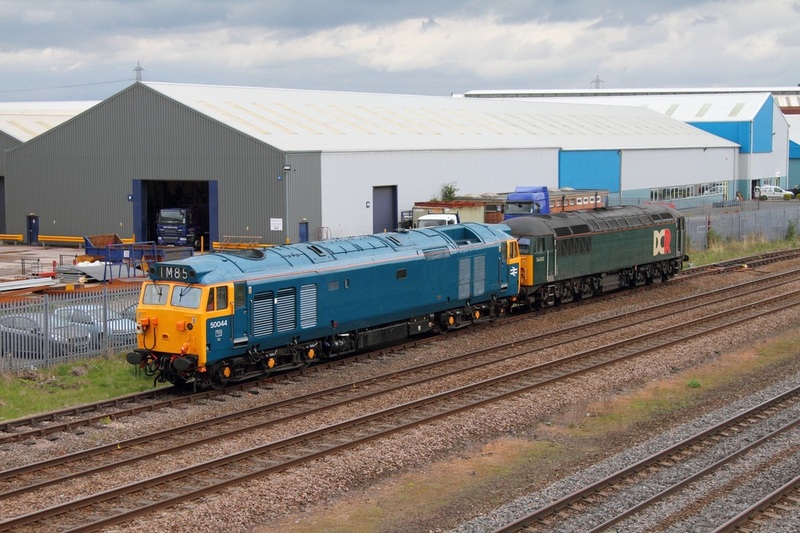 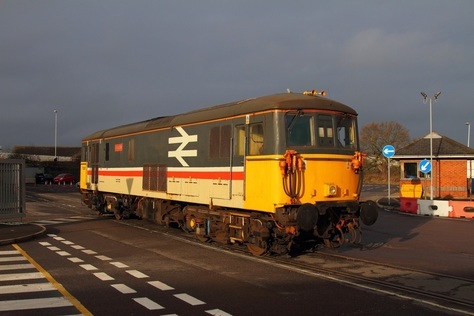 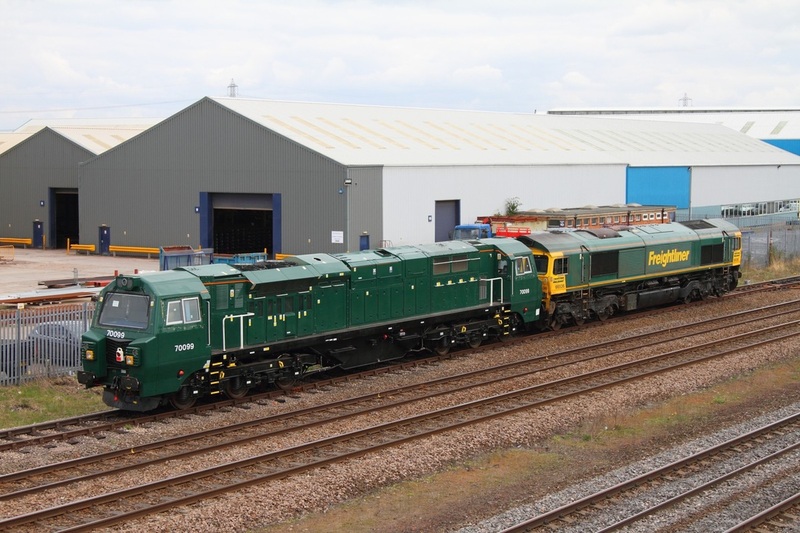 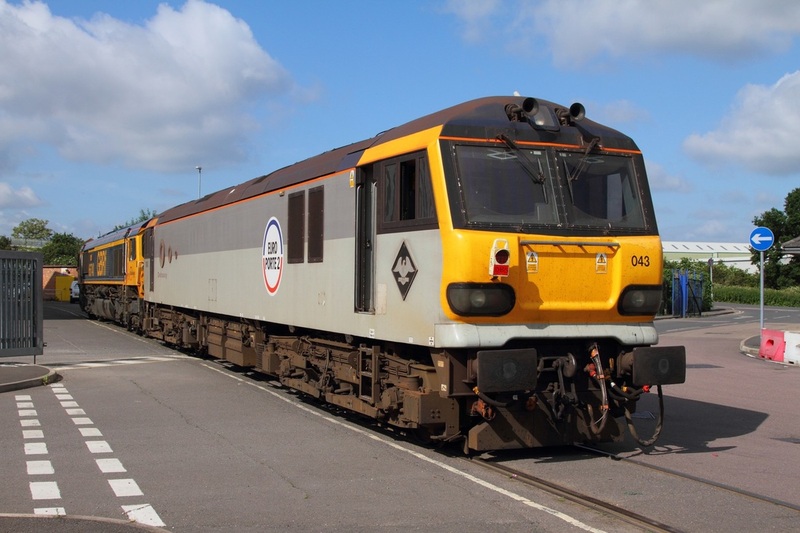 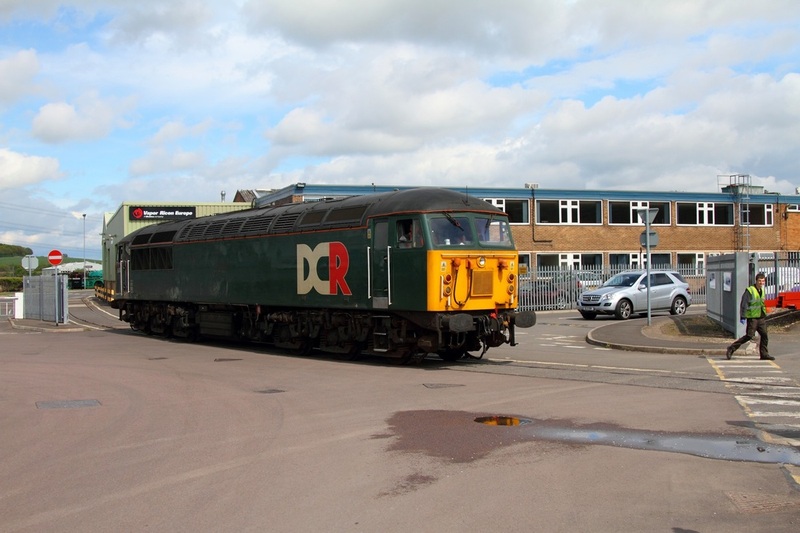 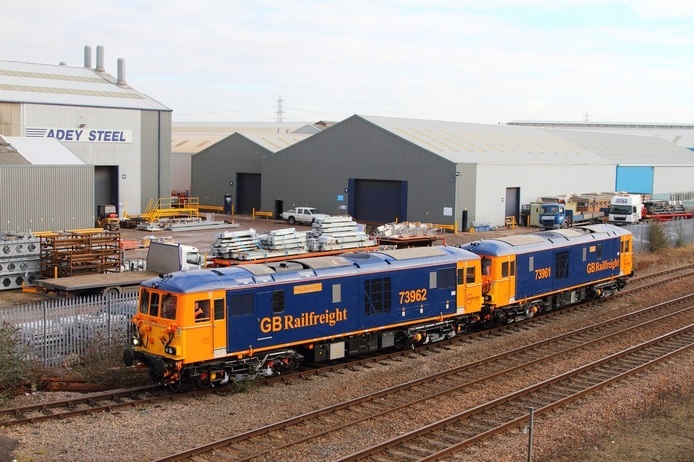 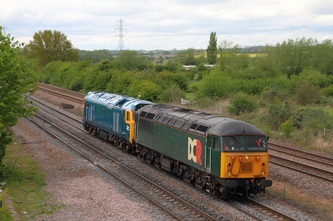 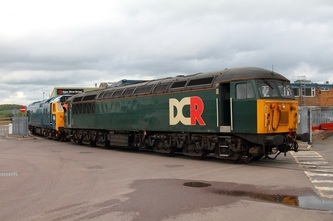 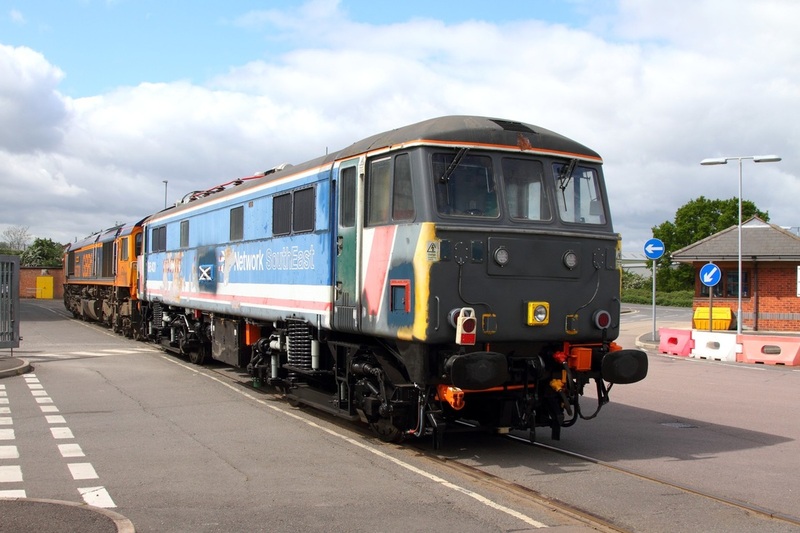 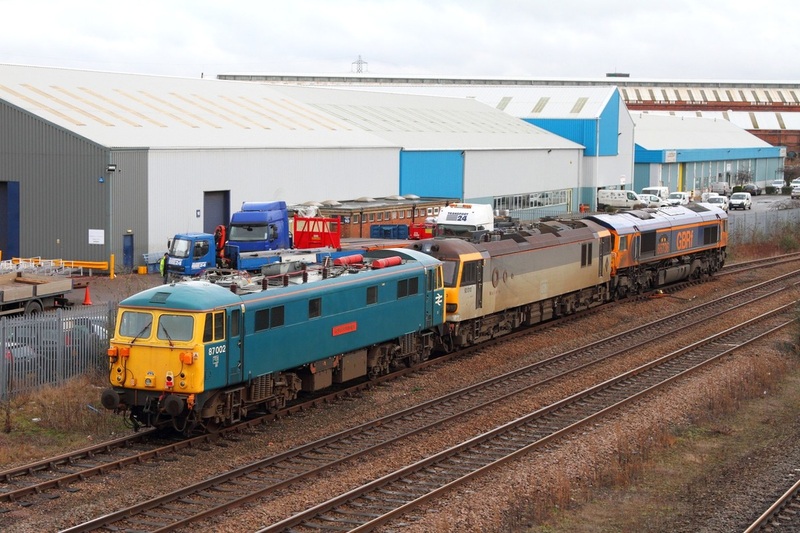 87002 and 92010 are expected to follow 92033 and 86101 in being repainted into the new sleeper livery. 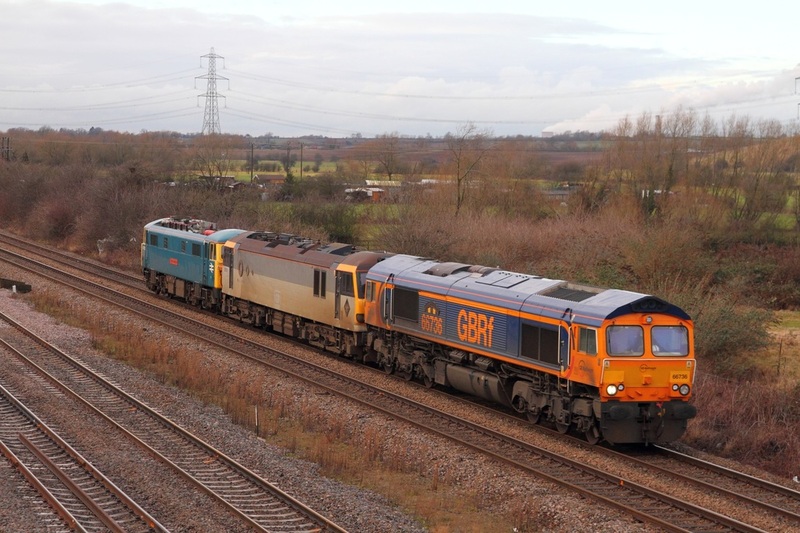 GBRf 73962 leads 73961 into Brush Loughborough works working as the 0Z73 11:35 Loughborough Brush Works to Loughborough Brush works via Leicester on the 6th February 2015.